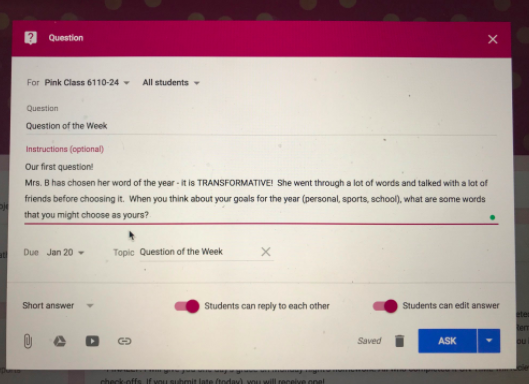 Leigh Anne Geib has had her students make a big choice - check out her post here about student ownership. No board space? No problem! 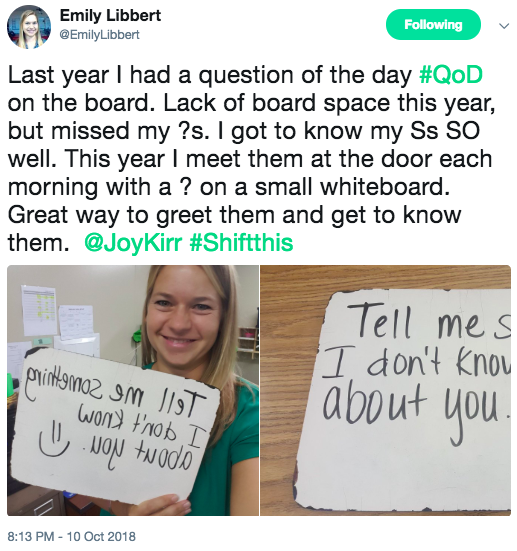 Check out 5th grade teacher Emily Libbert's idea - she shifted her question of the day after losing board space! She knew it was valuable, and found a way to keep it going. She later added, "It's actually more personal this way! I get a quick snapshot assessment of how they are doing emotionally each morning. Today's question taught me a girl will be getting a new adopted sister soon, a boys great grandma was murdered long ago, another girl has 2 trampolines, and so much more. :) Tells me what means the most to these kids. Some of them really thought hard about what to tell me!" 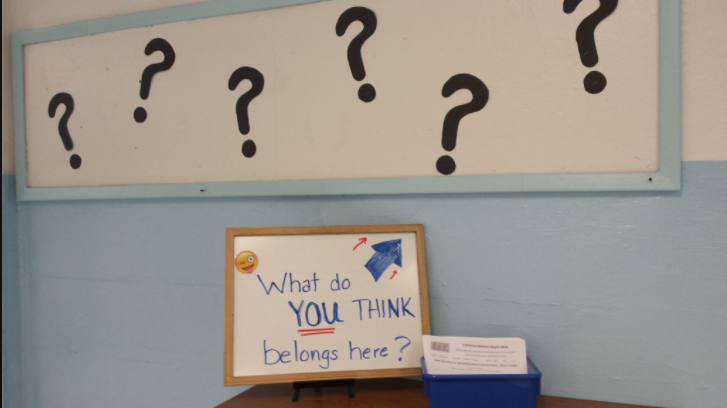 Middle school science teacher, Rob Hanson, is trying a shift for the question of the day. He's trying "What's Up Wednesday," and today's conversation was about plans for Labor Day! 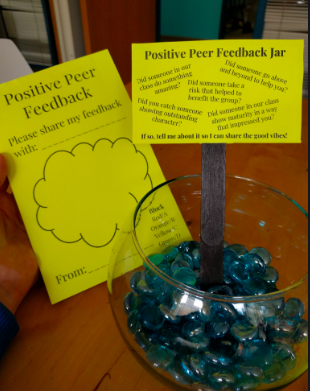 Marsha Poh - who teaches middle schoolers in science - generously created her own Google drawings to help other educators either have a notebook of slips for students to fill out, or have a jar for students to put slips in (jar sign here). You simply need to click on the links provided and then click on "make a copy." 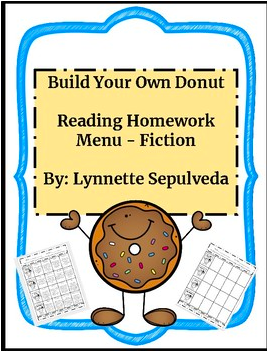 Third-grade teacher Lynnette Sepuiveda decided to shift her reading homework. She created a menu from Webb's Depth of Knowledge levels.for her students' fiction texts! Find it here on Teachers Pay Teachers - with a blank template for your own creation, as well. 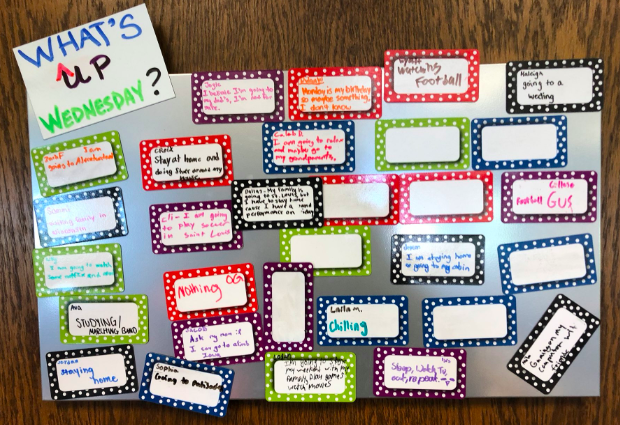 Bridget Bryson has taken "Question of the Day" and made an awesome tweak to it! Tired of your current seating arrangement? Leigh Anne Geib shares how she gave it up to the students - Click here to see! 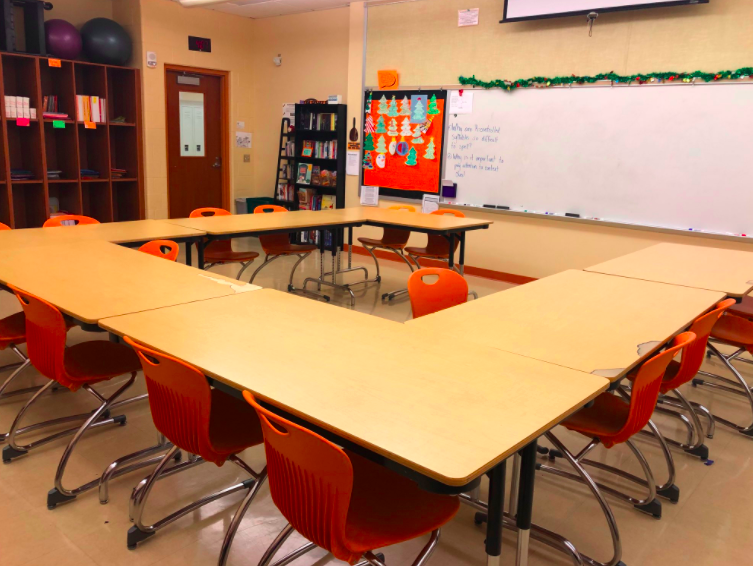 One ShiftThis reader, Kathryn Finch, explains how she created her own recording studio for her music classes! Check it out! 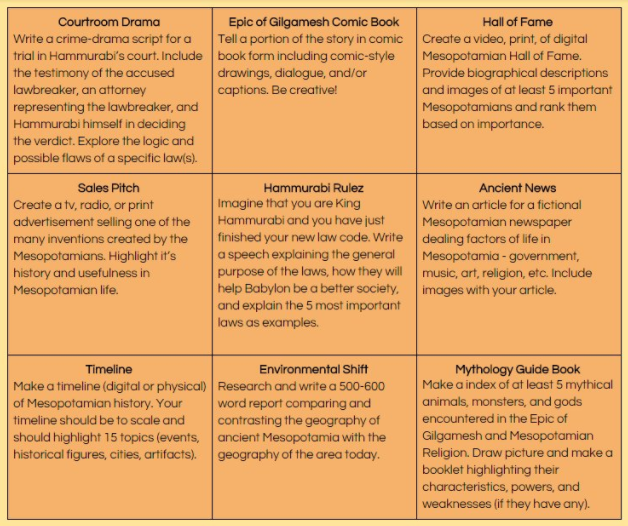 Douglass Robertson (World History teacher) created this Mesopotamia choice board (<- check the link! ), including an option to submit an additional idea! Once you've looked it over, check out the single-point rubric he uses to assess their progress! Morgan Bleakley gave third graders ownership of the cafeteria walls. What DO they think belongs there?? This blog is for OTHER authors to share their shifts with the world! Follow their stories by following the links to their blogs!